It is convenient place to move. For more information ,please look at the pictures. 3minute walk from Hanshinkoube Line Sannomiya Station . Acceptance is immediately to the left of the entrance. Shop is located on top of the signboard.Please across the "B"bridge to see over. And cross to the left of the bridge from right. 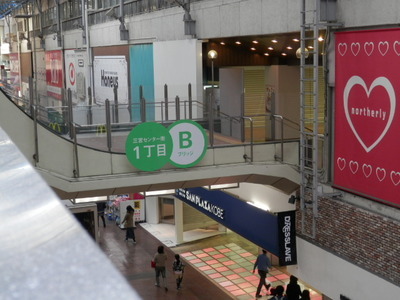 You can see the entrance of"Sannomiya centergai shop street"from" B"bridge.And you can see shop in the upper right on the deck.